Former Colorado treasurer and deputy Denver Mayor Cary Kennedy. 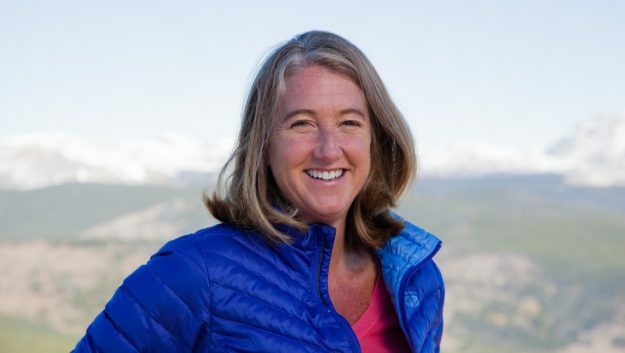 Former Colorado treasurer and Denver Deputy Mayor Cary Kennedy kept her powerful push to the primary rolling Saturday at the Democratic Party state assembly in Broomfield, securing nearly 62 percent of delegate votes and the top line on the June 26 gubernatorial ballot. U.S. Rep. Jared Polis, the congressman who represents part of Eagle County, came in a distant second with just under 33 percent of the delegates. On the Republican side of the governor’s race, current state treasurer Walker Stapleton was the big winner the GOP state assembly in Boulder, taking 44 percent of the vote and earning the top line just a few days after asking the secretary of state to toss out his petitions for the ballot after concerns were raised about their validity. Stapleton’s surprise run at the assembly process wound up costing Attorney General Cynthia Coffman a spot on the primary ballot. With Stapleton in the mix – and a strong showing from former Parker Mayor Greg Lopez with 33 percent of the delegates – Coffman pulled in only 5 percent of the delegates and will not be on the primary ballot. They are all trying to replace Democratic Gov. John Hickenlooper, who is term-limited. Candidates can petition their way onto the ballot, go through the assembly process or both. At the assembly, candidates must earn 30 percent of the delegates to land on the primary ballot. Coffman did not pursue the costly petition route. Vail’s Mike Johnston has already petitioned his way onto the ballot, and Lt. Gov. Donna Lynne is still waiting to hear from the secretary of state on whether her petitions earned her a spot on the Democratic primary ballot along with Kennedy, Polis and Johnston. Johnston and Lynne chose not go through the caucus and assembly process. On the Republican side, Doug Robinson and Victor Mitchell are still waiting to hear if their petitions earned them spots on the GOP gubernatorial primary ballot. Regardless, Stapleton, despite questions over his handling of the petition process and his choice of a petitioning firm, emerges from the assembly as the frontrunner for governor on the Republican side. Kennedy continues her strong showing from the March precinct caucus process on the Dem side, and has to be viewed a co-frontrunner with Polis. Johnston, a former state senator, sits in third. The Polis camp put out a release touting his gubernatorial candidacy as the only to qualify for the primary ballot through both the caucus and petition process after turning in a record 33,000 signatures — the most in state history without using a paid petition firm. Eagle County Commissioner and Polis delegate Jill Ryan offered her support for the congressman. But Kennedy delegate and former Carbondale trustee Allyn Harvey countered that momentum is clearly on Kennedy’s side after she “mopped up the floor of the First Bank Center” in Broomfield with Polis. Harvey said there was a clear difference in energy levels between the two camps. Meanwhile, Vail native Johnston will have a little over two months to make his mark on the campaign trail as he tries to get his numbers up from the 10-percent level with continued strong showings like last week’s Democratic gubernatorial debate. And the potential women’s wave that could see Colorado vote in its first-ever female governor will now only be possible on the Democratic side if either Kennedy or Lynne (if she makes the ballot) can beat out Polis and Johnston. Coffman’s shocking fall from frontrunner to also-ran leaves GOP hopes solidly in the Stapleton camp.